The Betrayal of the Five Civilized Tribes. 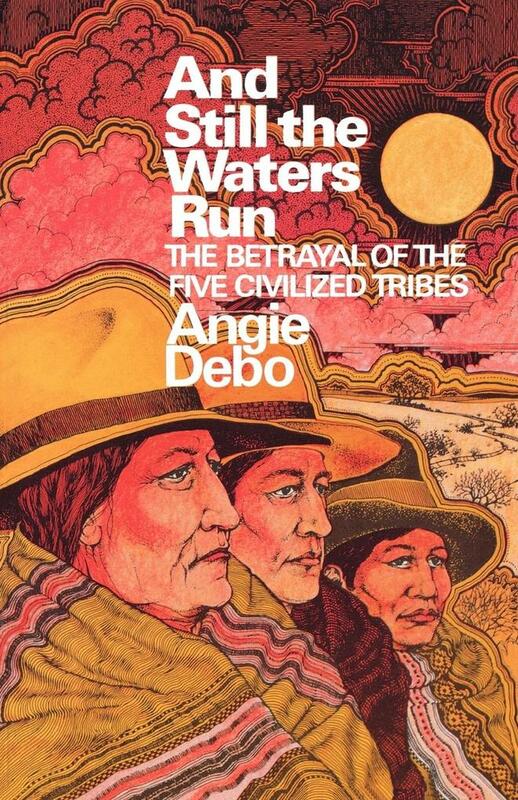 Debo's classic work tells the tragic story of the spoliation of the Choctaw, Chickasaw, Cherokee, Creek, and Seminole nations at the turn of the last century in what is now the state of Oklahoma. After their earlier forced removal from traditional lands in the southeastern states--culminating in the devastating 'trail of tears' march of the Cherokees--these five so-called Civilized Tribes held federal land grants in perpetuity, or "as long as the waters run, as long as the grass grows." Yet after passage of the Dawes Act in 1887, the land was purchased back from the tribes, whose members were then systematically swindled out of their private parcels. The publication of Debo's book fundamentally changed the way historians viewed, and wrote about, American Indian history. Writers from Oliver LaFarge, who characterized it as "a work of art," to Vine Deloria, Jr., and Larry McMurtry acknowledge debts to Angie Debo. Fifty years after the book's publication, McMurtry praised Debo's work in the New York Review of Books: "The reader," he wrote, "is pulled along by her strength of mind and power of sympathy.? Because the book's findings implicated prominent state politicians and supporters of the University of Oklahoma, the university press there was forced to reject the book in .... for fear of libel suits and backlash against the university. Nonetheless, the director of the University of Oklahoma Press at the time, Joseph Brandt, invited Debo to publish her book with Princeton University Press, where he became director in 1938.